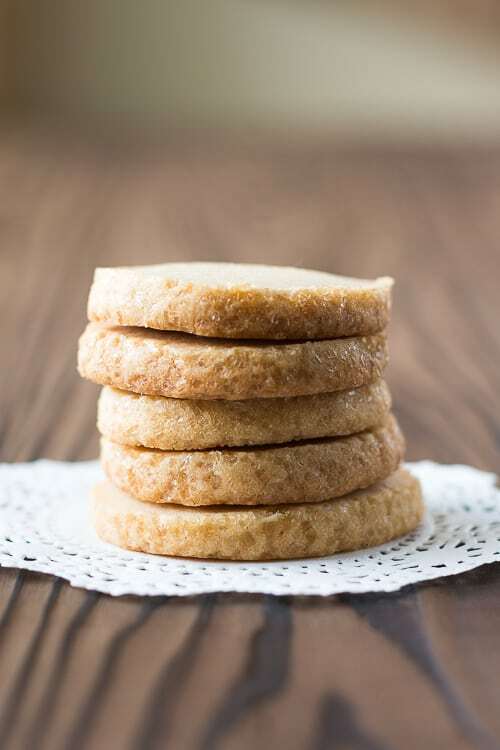 Tender, crisp brown sugar shortbread. The brown sugar gives them a caramelized flavor! 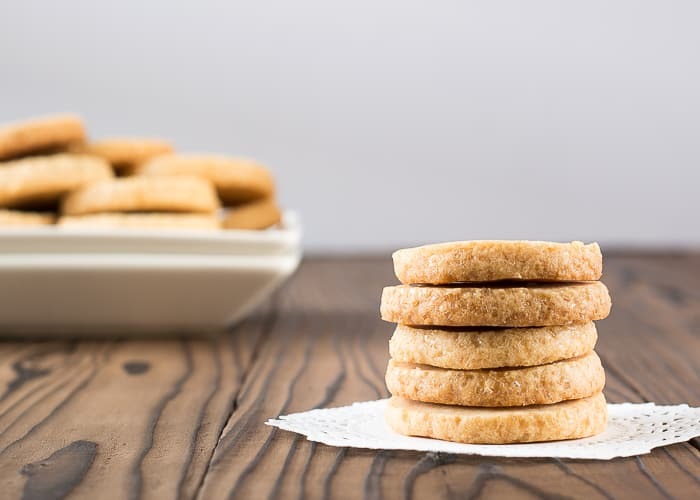 These cookies are only 3 ingredients and heavenly with a cup of afternoon coffee. 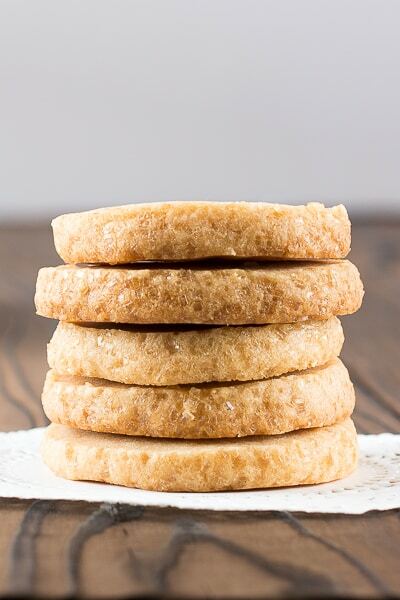 These cookies are crisp and buttery with notes of caramel from the brown sugar. With only 3 ingredients and the slice-and-bake method, these cookies are easy peasy. Plus, they’re a cinch to make ahead of time to have a cookie dough log on hand in the refrigerator or freezer for fresh baked cookies on the fly. I can’t tell you how good they are with a cup of espresso. 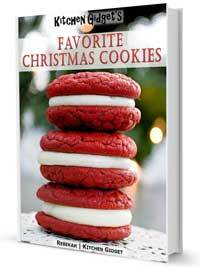 This is the first year I’m participating in the Great Food Blogger Cookie Swap and I am absolutely thrilled! 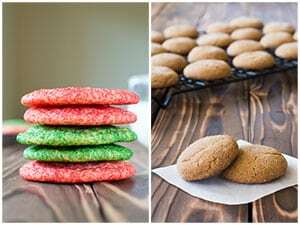 Nearly 500 food bloggers from around the world joined together to raise over $7,000 for Cookies For Kids’ Cancer through a cookie exchange with our partners OXO, Land ‘O Lakes, and Dixie Crystals. Who doesn’t love getting cookies?? I know I sure loved the Jingle Jewels that arrived from Laura at Main Line Feast, Dark Chocolate Amaretto Cookies from Jacque at 5 O’Clock Fashionistas and Honey Gingerbread Cookies from Wendy at The Monday Box! I chose these Brown Sugar Shortbread cookies since I knew they were sturdy and hoped they would hold up well in the mail. If you’re looking for cookies to send in a care package, these ones are tried and true! 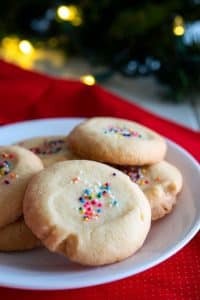 For your convenience and baking inspiration, all of the cookies that were part of the swap are going to be rounded up in one place this weekend. 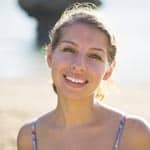 Be sure to follow me on Facebook so you don’t miss that link! If you’re a food blogger who would like to participate in the swap next year, please sign up for notifications here. Happy baking! 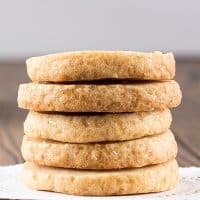 Crisp shortbread cookies made with brown sugar instead of white gives them a wonderful caramel note. In a large bowl, cream butter and brown sugar, about 3 minutes. Gradually stir in flour and mix well. On a lightly floured surface, knead until smooth and comes together, about 3 minutes. Divide dough in half and roll each half into a log about 1 3/4-inches in diameter. Roll edge of log in sugar. Wrap in plastic wrap and chill for at least 15 minutes. Unwrap logs and slice into 1/3-inch rounds. 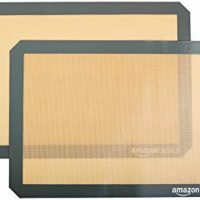 Place 1 inch apart on baking sheets lined with parchment paper. Bake at 300°F for 25 minutes or until bottoms are lightly browned. Cool for 5 minutes before removing from pan to a wire rack. I just looked up this recipe because I had a happy accident sort of. Let me explain. I usually make Brown Sugar cookies every Christmas. It’s my grandmothers recipe and it has nuts and eggs in it and has become a favorite of a lot of friends and family. I decided to make a half batch with no walnuts for a coworker who is allergic to nuts. Well I realized that I must have left out the egg also. Hence basically shortbread howeve it’s a bit on the sweet side for a shortbread. 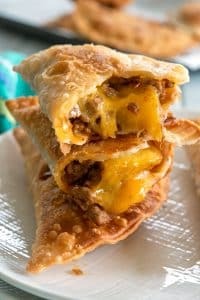 So I looked on Pinterest and found your recipe because everyone also liked my mistake! So I will make it again but using the amount of brown sugar that your recipe calls for. Thank you! How cool! I love that. I hope your New Year is filled with many happy accidents! These are my favourite shortbread. 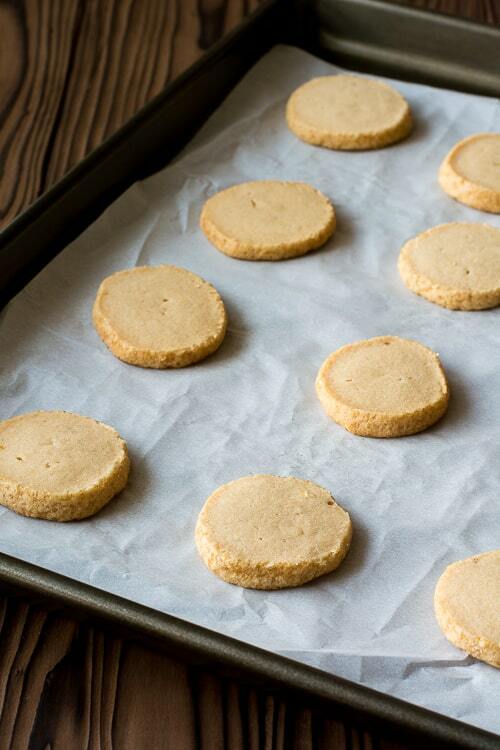 My recipe was given to me by a friend’s mother years ago and she called them Irish Shortbread. Her recipe is almost the same except it calls for a pinch of baking soda and 1 tsp of vanilla and are cooked at 350 for about 12-15 minutes. I will also say they taste better the longer they sit – the first day the flavour is not as developed. I agree! 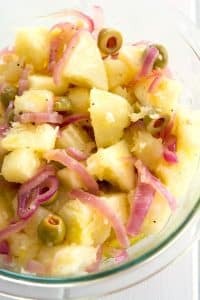 The flavor keeps getting better and I appreciated recipes that can be made ahead of time. 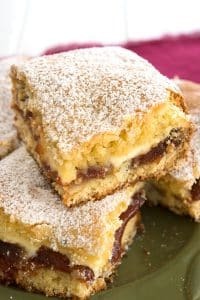 Can these be made in a shortbread pan/dish? So sorry for the late reply, I’ve been on vacation. But yes, they should do well in a pan. Oh no I just realized it doesn’t specify what kind of butter…this is an old recipe I got from family and I assumed they used salted butter. How did they turn out? I’m going to update it, thanks! These look perfect for my last minute baking for a caramel lover. Did you use light brown sugar or dark? I’m thinking that since it is not specified, I’ll use light. Thanks! 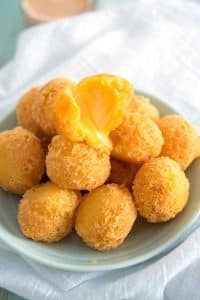 I used light brown sugar but I bet they would be delicious with either!